It's the Naked Hermit Crabs monthly guided walk at Chek Jawa today. Before I arrived at the Changi Point Ferry Terminal, I check out the noisy trees along the road. 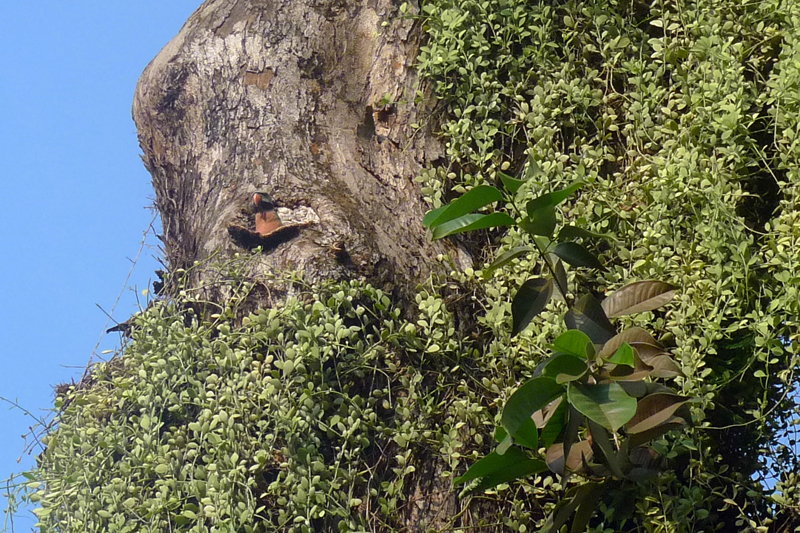 In one of the tree holes, a long-tailed parakeet looks out of its home. Taking a bumboat from Changi Point Ferry Terminal and then a taxi service from Pulau Ubin, we arrived at Chek Jawa. At the town centre of Pulau Ubin, the van driver stopped in front of the temple to pick some some stuff. 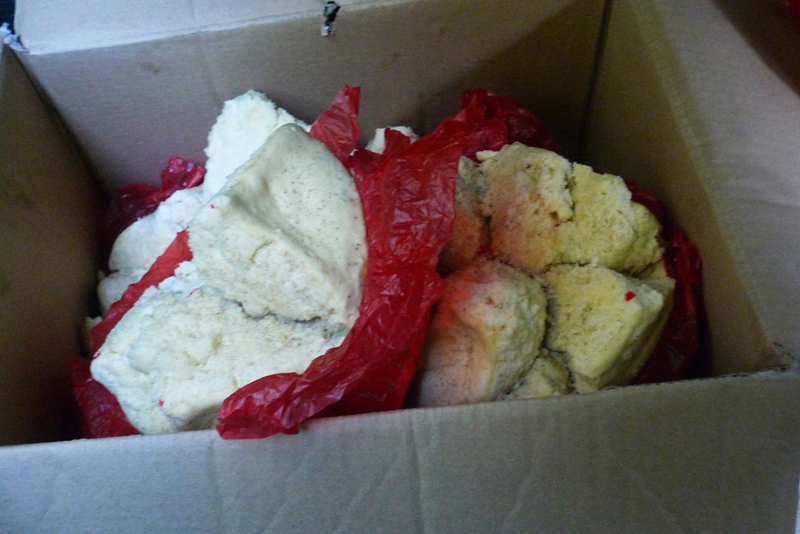 A van passenger, whom we shared the van with, mentioned that the cakes are food for 山猪 (wild boars). 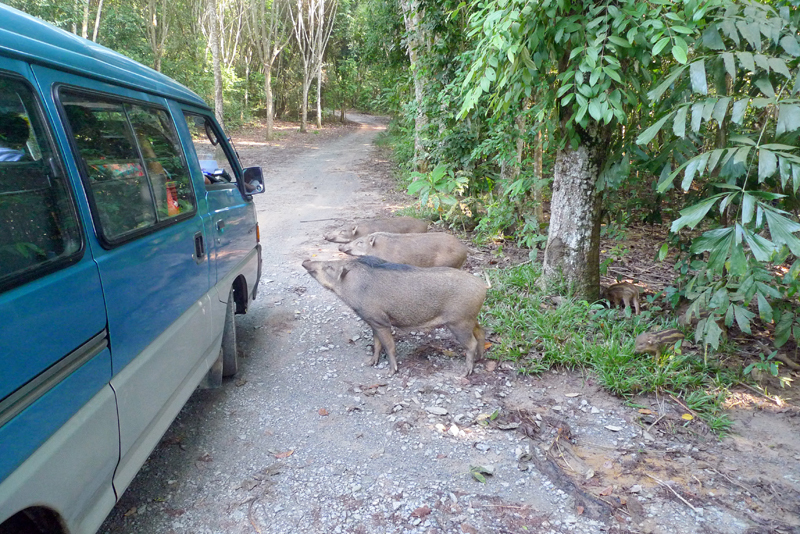 Indeed, when we arrived at Chek Jawa, the driver gave a horn and wild boars came running out from the forested area. They were looking eagerly at the van driver. 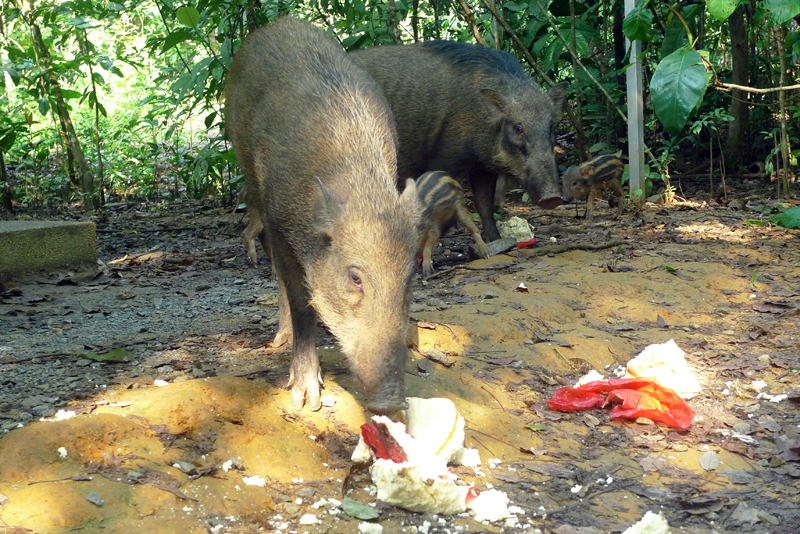 Mama wild boar and her two young adults were out on the frontline while her piglets stay away from the main road first. The driver parked his van and out comes the breakfast. 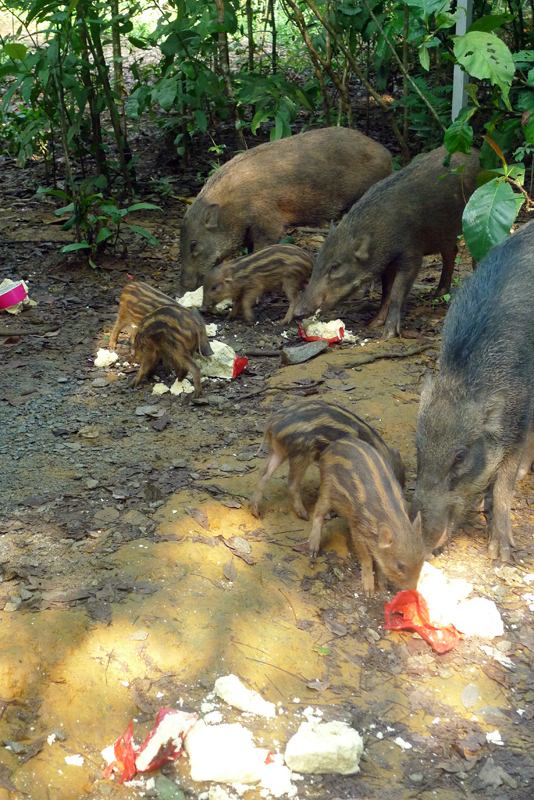 This is the time where I could get closer to the watermelon-striped piglets. 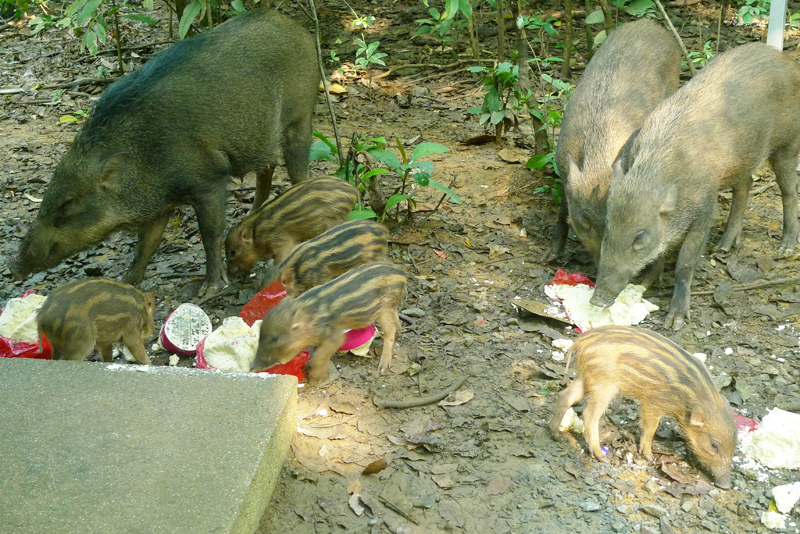 Wild boar piglets have these black stripes along their body that looks like the stripes of a watermelon. They are so focused on eating the food. 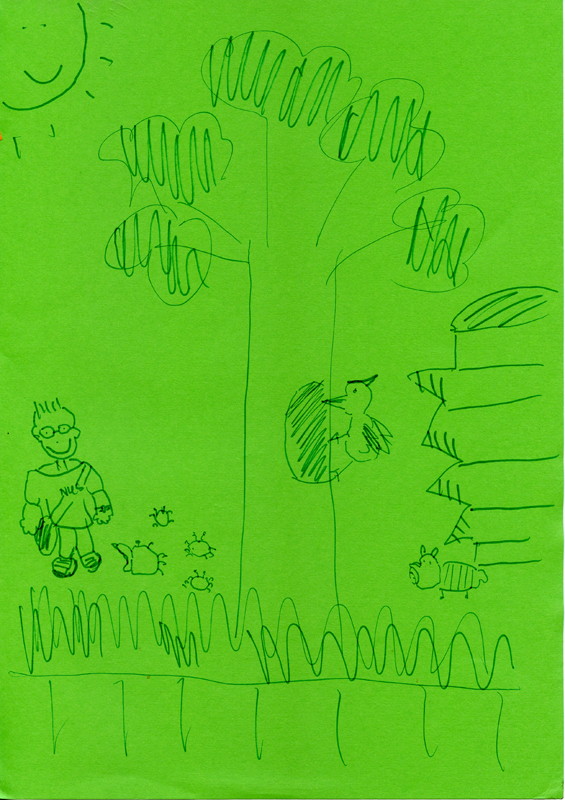 From this image below, there are 5 piglets. 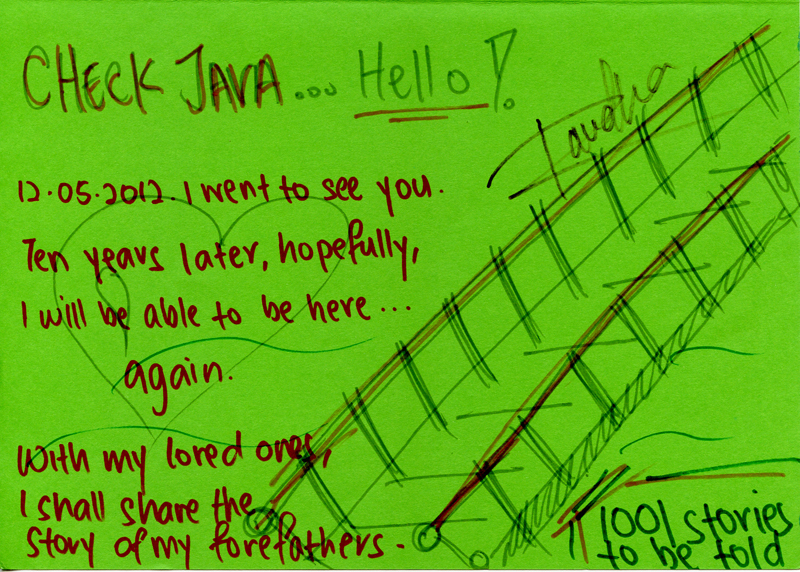 Ria Tan blogged about her two encounters with the new born last month. Post 1, post 2. 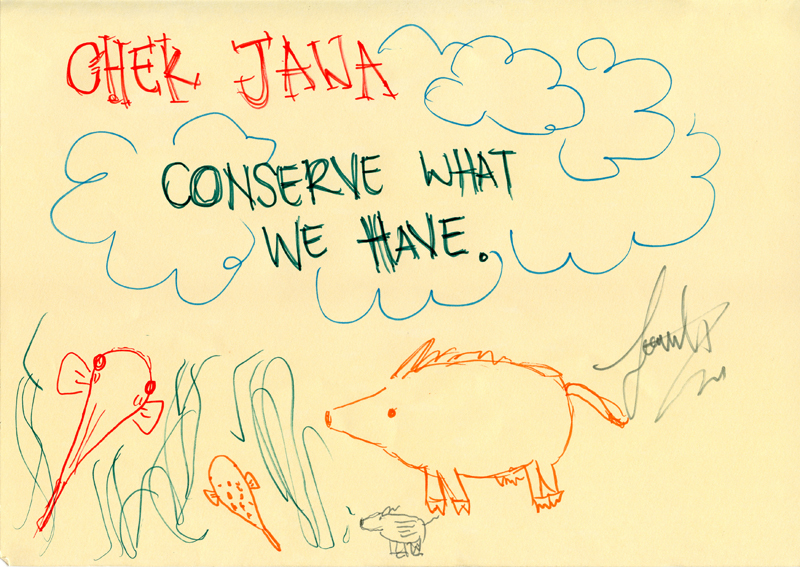 One of ur visitors told us after the walk that she saw and counted 13 wild boars when she reached Chek Jawa. Apparently, this is their second serving of breakfast. 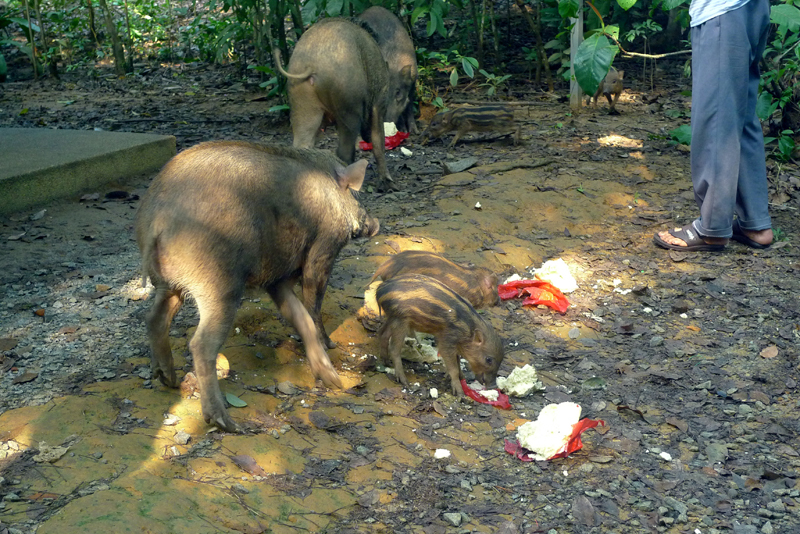 Hopefully the other two piglets are safe somewhere. The crabs had a big group to manage today. We have a group of 17 from Temasek Polytechinc and about 30 adults and children who signed up for the walk from the Naked Hermit Crabs blog. 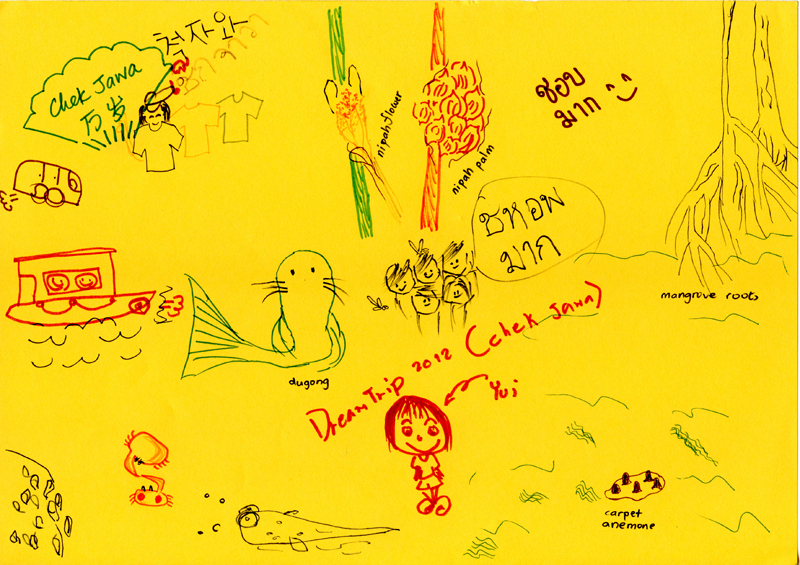 At the mangrove boardwalk, my group stopped by the nipah plam to take a look and understand the uses of nipah plam. 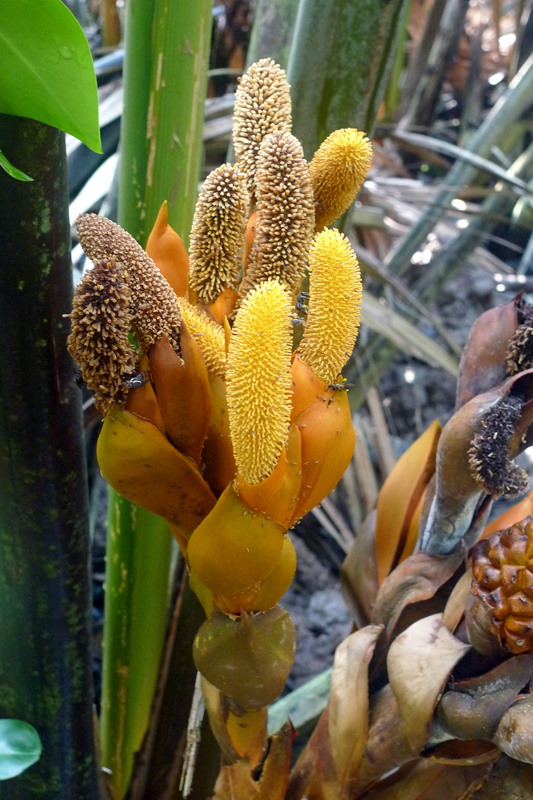 On closer observation, we saw the insects on the flowering cones of the nipah plam. We saw many different kind of fiddler crabs in the mangrove boardwalk area and also at the seagrass lagoon area. They are too tiny for my to take pictures of. One of the daddies in my group is really observant. 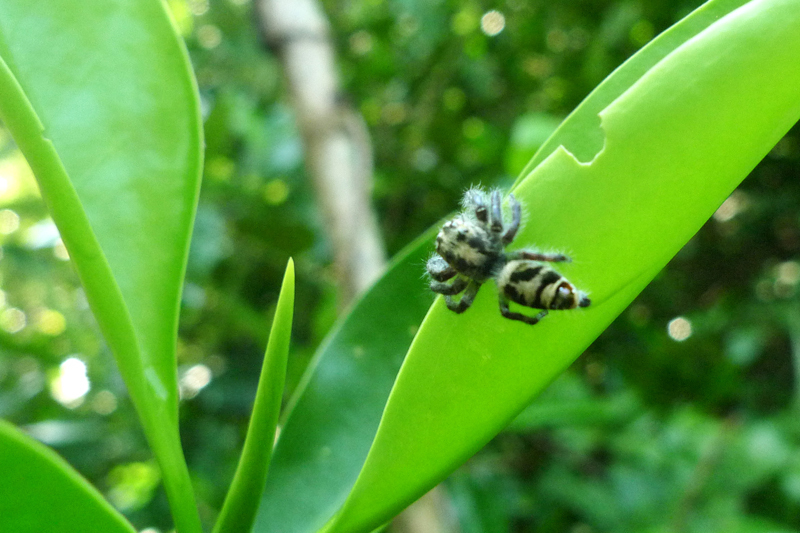 He spotted our first tree-climbing crab and a few spiders. Out in the seagrass lagoon, the same daddy spotted the water monitor lizard. It took us a long time to find it as it was stationary for a long time. We could only find it when it moved slowly. 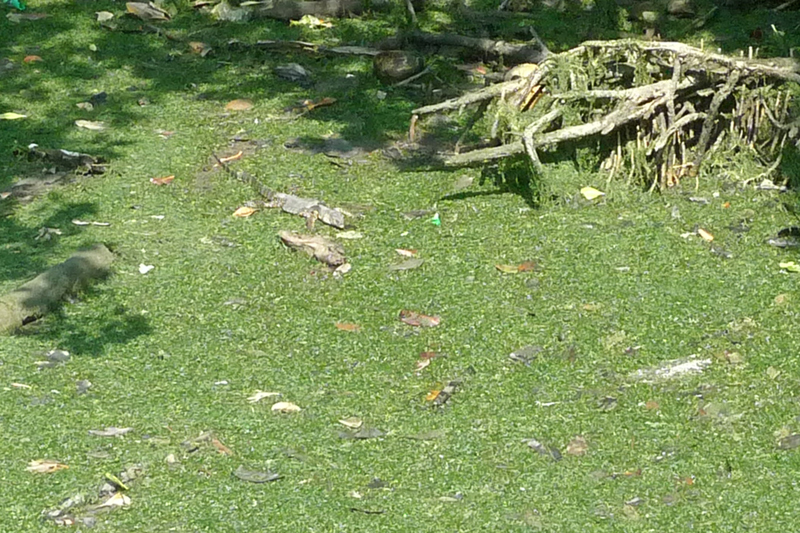 Try and see if you are able to spot the monitor lizard in this image. Today's walk coincided with NParks' shore walk at Chek Jawa. We saw the shore walk visitors down on the shore near the pontoon. We took the opportunity to take a walk the pontoon that is usually closed to public. Well, my visitors took the left turn at the gate. Even on the pontoon, we could see some marine life on the intertidal shore. We spotted a few carpet anemones. 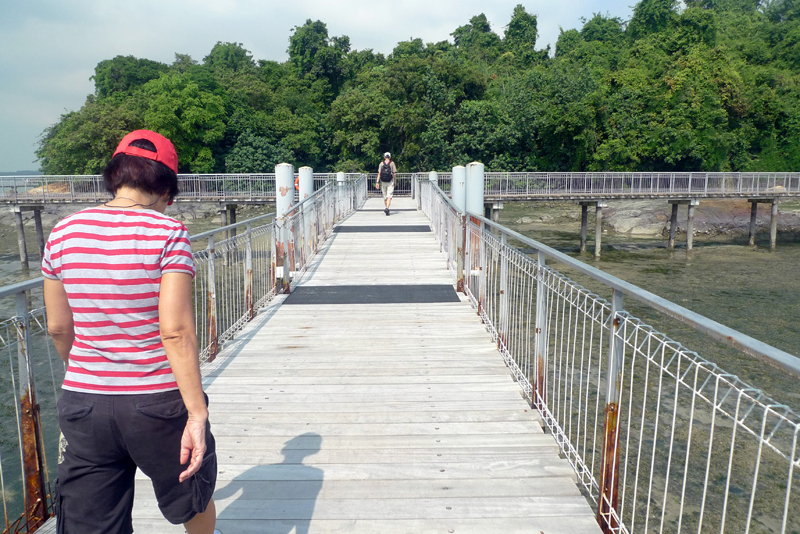 My visitors had a close encounter of the guided walk conducted by NParks on this shore. 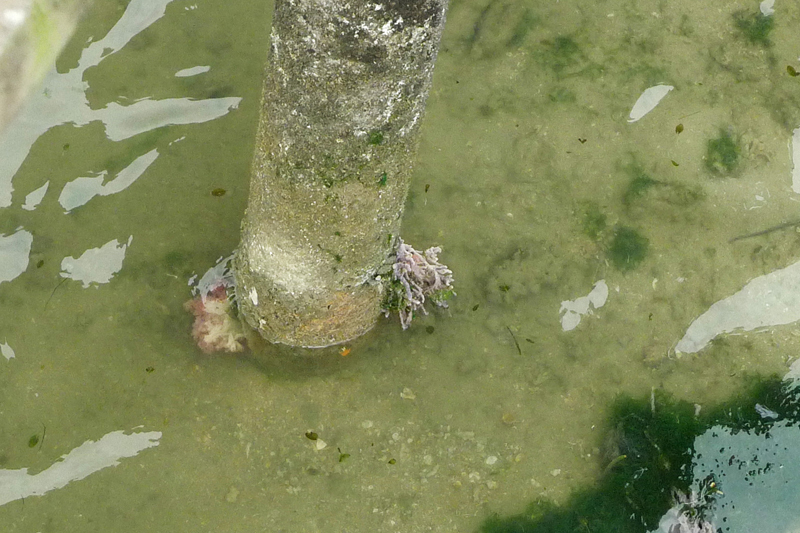 At the coral rubble area of the boardwalk, we spotted some marine life on a pillar of the boardwalk. Left: Pink flowery soft coral? 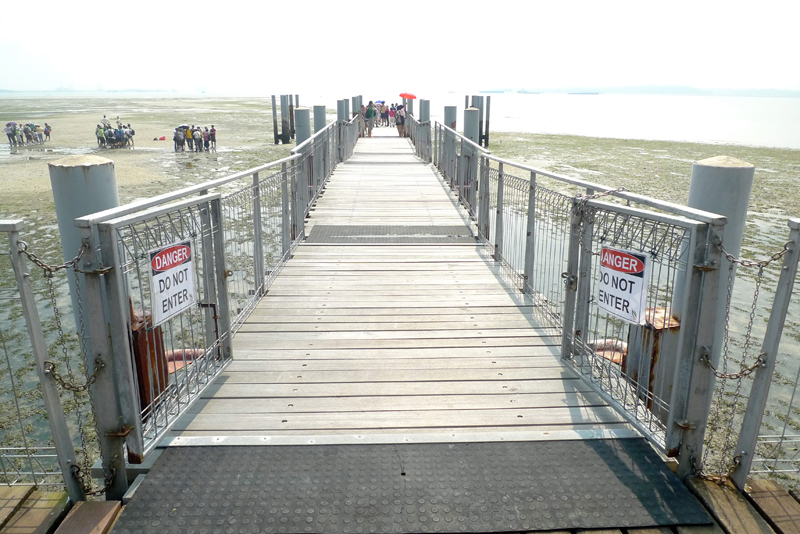 I have never seen Chek Jawa in such low tide from the boardwalk before. Though majority of the coral rubble area is submerged, the water level was low enough for me to see some outlines on the seabed. Our final station was the man-made hornbills nest put up by Jurong Bird Park (yes, the box label says so). The seal on the nesting box was broken, which means the young hornbills have hatched and fledged? This box was sealed for a few months. On route to House 1, we met the NPark staff on duty looking left and right on a pathway. Then he told us "Hornbills, there." 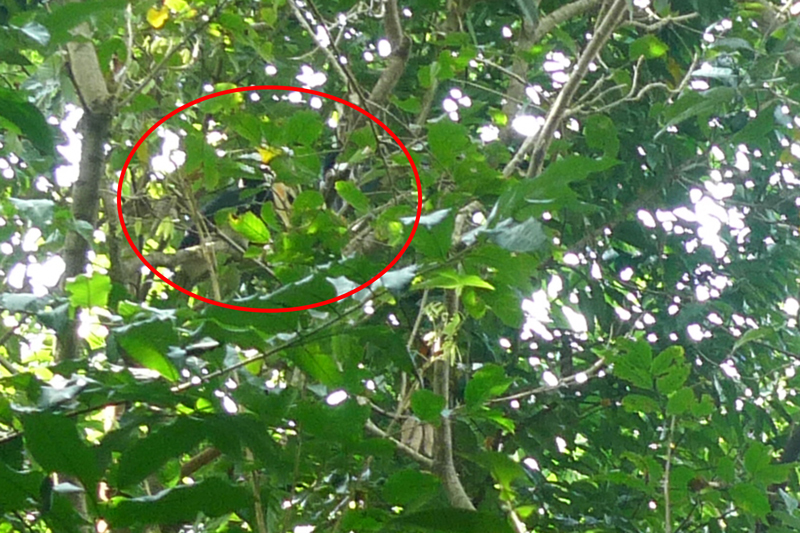 It took us some time to spot the hornbill. Today the birds are so sneaky. We heard these birds called when our walk started and was expecting to see a few of them flying by. However we only got to see them up on a tree, grooming themselves. So here they are, circled in red. As usual, we end our walk at House No. 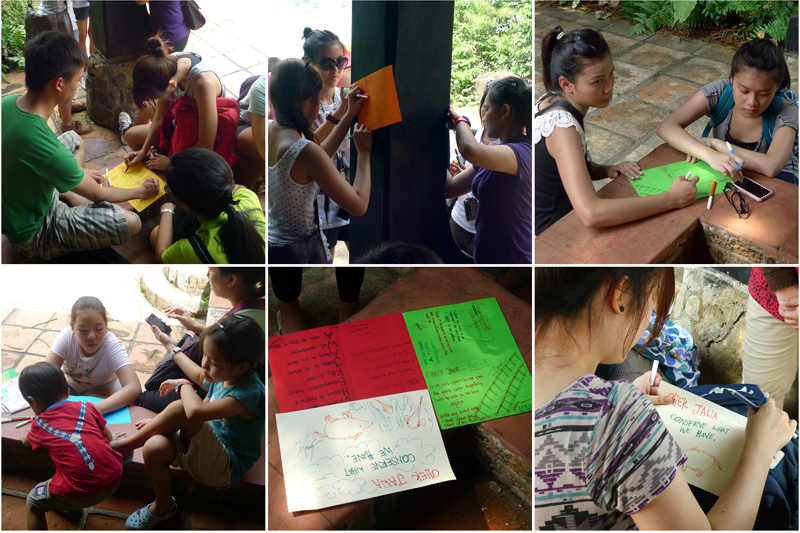 1 and all visitors were invited to pen their thoughts and feelings . 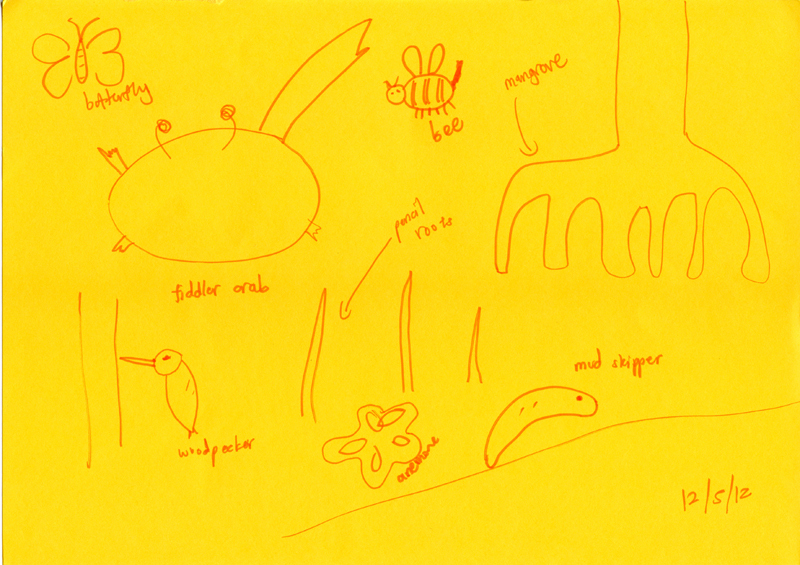 These writings will form our guest book. The others crabs are so busy today so we only had 3 guides today. Thanks to Sankar, Ivan and me for guiding today. The next guided walk at Chek Jawa by the Naked Hermit Crabs will be on 10 June. 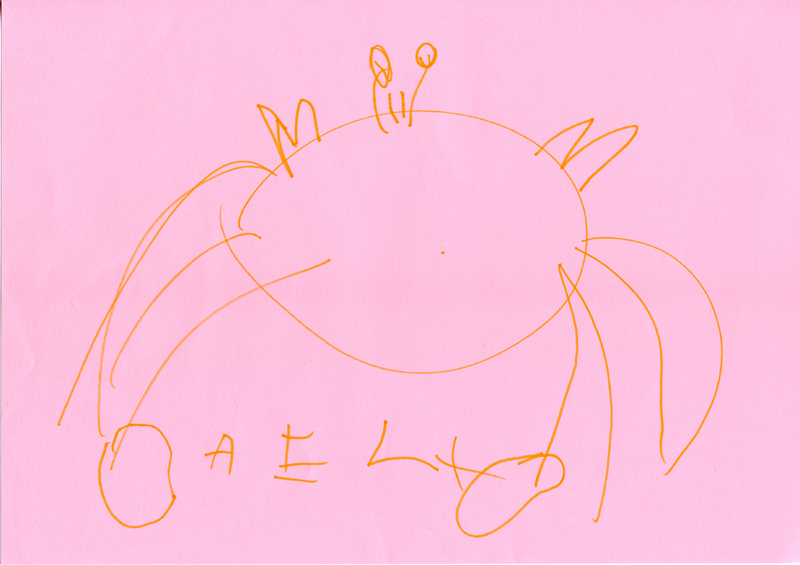 Do check out the crabs' blog for more details.